Coach Tomas Victoria was born in Caracas, Venezuela , Graduate from The University of Florida in Physical Education , he is married to Carol Victoria and has two daughters Andrea and Daniela , both of his daughters are involved in competitive sports : Andrea was an All American and state MVP in water polo during her High school years with St Thomas Aquinas HS she obtained an athletic scholarship to Colorado State. Daniela was an All American and two time Florida High School state champion in 100 breaststroke she is a freshman at the University of Florida in swimming . Coach Tomas was the Head coach of the Venezuelan National team from 1984 to 1995 his swimmers established over 100 National age group records and made the national Team in multilpe ocassions to events such as Pan American (1991 Cuba-1995 Argentina) and World Championships(1994 Rome , Italy -1995 Rio, Brasil) . He moved to Florida in 1995 looking for new challenges, he established himself as a coach in the Florida Gold Coast with Team Weston Aquatics were he continued his career by placing swimmers in meets such as Pan Am Games, Rio, Brasil 2007, World Championships Melburne, Australia 2007 , World Youth Championships Rio, Brasil 2006 and Monterrey, Mexico 2008, Zone Championships, US Open,Junior National and Senior National Championships qualifiers. His swimmers have graduated to accept Athletic and Academic scholarships to Institutions such as : Stanford University, University of Florida, Florida Atlantic University, Indian River College. 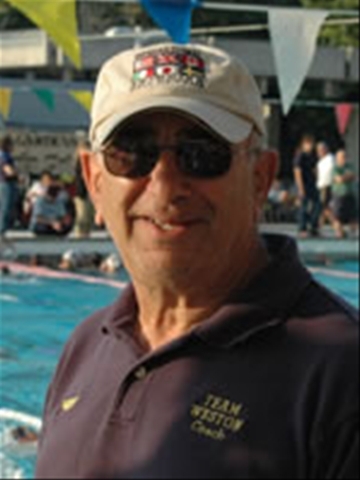 He is a ASCA level 4 National and International certified coach also member of USA swimming since 1995. Davie Nadadores Swim Team is a high performance competitive swim program developed to produce a high competitive level of swimmers who are willing to perform at their best level of competition based on talent combined with an experienced coaching staff. Our swimmers train to develop their best technique as a priority combined with a training program that includes dryland training specific for swimming and a swim program planned carefully based on a seasonal competitive schedule. Our program includes competitive training for National and International competition .